Adenosine signaling through adenosine A2A receptors (A2ARs) is known to influence cocaine-induced behaviors. These studies sought to elucidate how two A2AR antagonists distinguished by their antagonist effects at presynaptic and postsynaptic A2AR influence cocaine-induced locomotion and cocaine seeking. Sprague-Dawley rats were used to assess the differential effects of SCH 442416 and istradefylline that antagonize presynaptic and postsynaptic A2AR, respectively. We evaluated the effects of these antagonists on both basal and cocaine-induced locomotion in cocaine-naïve rats and rats that received seven daily cocaine treatments. The effects of SCH 442416 or istradefylline on cocaine seeking were measured in animals extinguished from cocaine self-administration. We assessed the effects of the A2AR antagonists to induce cocaine seeking when administered alone and their effects on cocaine seeking induced by a cocaine-priming injection. Lastly, we evaluated the effects of the antagonists on sucrose seeking in animals extinguished from sucrose self-administration. Neither istradefylline nor SCH 442416 significantly altered basal locomotion. Istradefylline enhanced acute cocaine-induced locomotion but had no effect on the expression of locomotor sensitization. SCH 44216 had no effect on acute cocaine-induced locomotion but inhibited the expression of locomotor sensitization. Istradefylline was sufficient to induce cocaine seeking and augmented both cocaine-induced seeking and sucrose seeking. 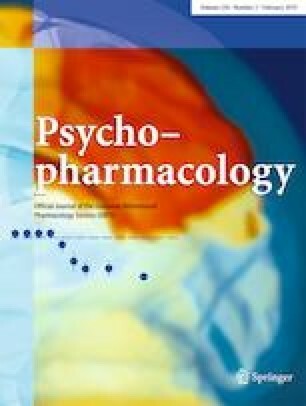 SCH 442416 inhibited cocaine-induced seeking, but had no effect on sucrose seeking and did not induce cocaine seeking when administered alone. These findings demonstrate differential effects of two A2AR antagonists distinguished by their effects at pre- and postsynaptic A2AR on cocaine-induced behaviors. This work was funded by the National Institutes of Health (Grant DA033358). All procedures complied with the Guide for Care and Use of Animals as adopted and promulgated by the U.S. National Institutes of Health and were approved by the Institutional Animal Care and Use Committee at the University of Colorado Boulder.